The relation between the political arena and media coverage occupies a central place in Political Communication research. Studies into the newsworthiness of political events and actors show that especially powerful actors get most coverage, while actual work in the political arena has less effect. Studies in Agenda Setting show that the politics and media influence each other depending on the political context. Work on the mediatization of politics posits that the role of the media has changed in the last 70 years, with journalists becoming more influential. Can we explain the amount of newspaper coverage a parliamentary debate receives based on the topic, the involved politicians, and the political cycle? Which politicians are quoted in newspaper coverage of Parliament? Is this representative of their presence in parliamentary discourse, or dictated by the logic of power and/or conflict? When politicians are cited in the news, does their coverage reflect their parliamentary discourse? Are discrepancies dictated by media logic or by political logic? Researchers involved in this project are Wouter van Atteveldt, Laura Hollink and Antske Fokkens. analysis of the results. He or she is expected to study the relevant literature, formulate the research question, and collaborate in validating the results. The computer science or linguistics student will convert the theoretical question to a linguistic task. 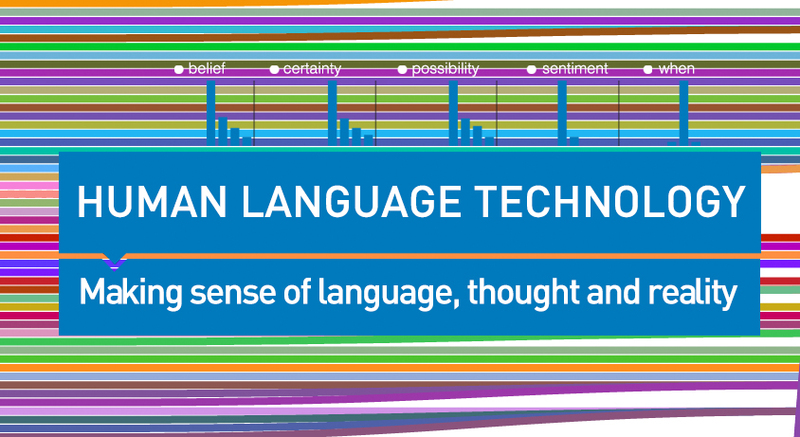 He or she will investigate how we may apply language technology to investigate political journalism: how can we identify emotion, positive and negative reporting, personalization or political conflict using NLP tools? The two students will collaborate to investigate how existing technologies can best be used to support the project’s research questions and to evaluate the results. This project is a collaboration between Computational Lexicology and Terminology Lab (Dept. of Language and Communication), the Communication Science group (Dept. of Social Science) and the Web and Media group (Dept. of Computer Science). The supervising team will consist of Antske Fokkens (CLTL, Web and Media group), Wouter van Atteveldt (Communication Science) and Laura Hollink (Web and Media).